Dorner’s new 2200 LPZ / Z-Frame Conveyor comes with one or two pivot points and features an extremely low profile to fit under machinery or any other tight spots. The 2200 LPZ is Dorner’s lowest profile Z-Frame conveyor – and is the first such offering in the newly redesigned 2200 Series platform. The advantage of the 2200 LPZ is that its sleek, narrow profile enables it to be positioned under machinery where other conveyors wouldn’t fit, making it ideal for part removal and product handling in packaging, metalworking, automation, medical, pharmaceutical and other general manufacturing applications. 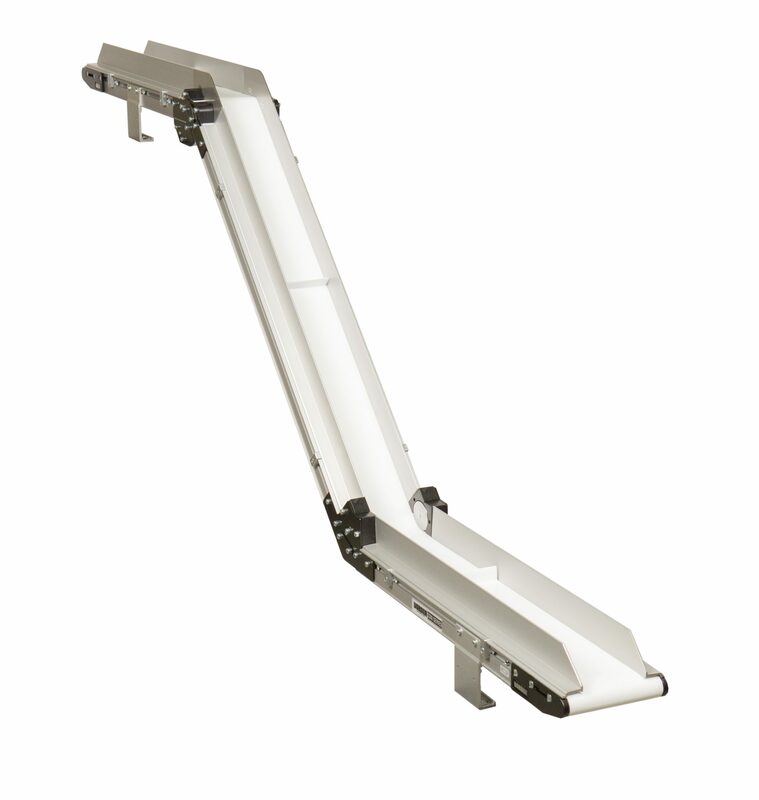 The pivot points on the conveyor provide added flexibility as it can be configured in either Z-frame, horizontal-to-incline and nose-over positions. The 2200 LPZ is the second of four new platforms being introduced as part of Dorner’s newly redesigned 2200 Series platform. In April, Dorner re-launched the original 2200 Series to include new features such as a redesigned frame, additional belting and expanded guiding to make the platform stronger, faster and more flexible for handling small to medium size part applications. The third and fourth conveyors in the redesigned 2200 Series are expected to launch later this year. Im looking for a quote on a nose over conveyor that stretches about 56″ length that has about a 25″ or more nose and bottom conveyor just like the 2200 LPZ but about 1 foot width. Needs to be about 15 Feet high roughly. Can you please let me know where your company is located so we can get your request to the representative in your area? You can also send us your information at info@dorner.com .